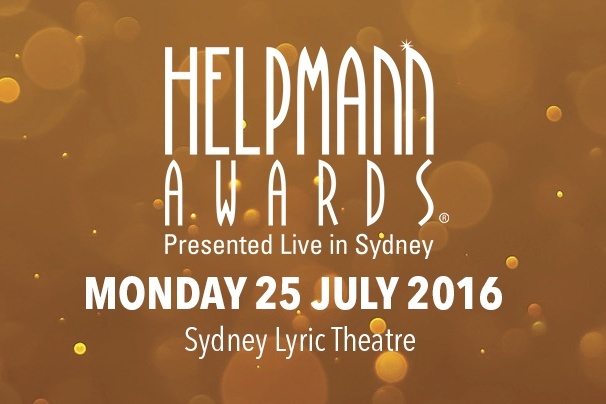 The Helpmann Awards are the premier celebration of Australia’s vibrant live performance industry and recognise distinguished achievement and excellence in Australia’s live performance sectors including musical theatre, contemporary music, comedy, opera, classical music, theatre, dance and physical theatre, children’s presentations, regional touring and cabaret. Live Performance Australia (LPA) announced the Nominees in the 41 categories at simultaneous events in Melbourne, Sydney, Adelaide, Perth and Brisbane. LPA Chief Executive, Evelyn Richardson said “This year has been a remarkable year for live performances in Australia reflecting a vibrant industry with more than 18 million people attending shows across the country and ticket revenues of $1.5 billion”. Ms Richardson also said “This year we are delighted to announce one additional award that will be given to the Melbourne International Comedy Festival for their ‘Outstanding Contribution to the Development of Comedy in Australia’. The Helpmann Awards Industry Panel and the Helpmann Awards Administration Committee (HAAC) felt strongly that the festival’s sustained development of comedians and comedy programmes around the country over three decades was worthy of recognition”. NSW Minister for Trade, Tourism and Major Events, Stuart Ayres congratulated all the Nominees on their achievement. “The Helpmann Awards celebrate and recognise Australia’s considerable talent in the live performance industry and I’m delighted the Awards will once again be held in Sydney. The NSW Government is proud to support the Helpmann Awards through our tourism and major events agency Destination NSW. I congratulate this year’s Nominees and look forward to the ceremony in July” Mr Ayres said. The 2016 Helpmann Awards will also incorporate the final Brian Stacey Award for Emerging Australian Conductors. This year the award goes to Toby Thatcher who will receive a $10,000 prize. Currently Assistant Conductor for the Sydney Symphony Orchestra, a position he has held since early 2015, Toby displays outstanding conducting and musical skills. As previously announced, Michael Lynch CBE AM will be the recipient of this year’s Sue Nattrass Award®. The prestigious 2016 Sue Nattrass Award® honours exceptional service to the Australian live performance industry, shining a spotlight on people in service roles that support our industry. The recipient of the JC Williamson Award® will be announced on Wednesday 29 June. The winners of the 2016 Helpmann Awards will be announced at a ceremony on Monday 25 July at the Sydney Lyric Theatre on the set of Singin’ in the Rain. Hosts for the 16th Annual Helpmann Awards Ceremony include Adam Garcia, Helen Dallimore, Guy Noble, Simon Philips, Queenie van de Zandt, Stuart Maunder AM and The Umbilical Brothers and will feature performances by the casts of Matilda the Musical, The Sound of Music, Ladies in Black and Singin’ in the Rain, with individual performances by Marina Prior and Mark Vincent, Sarah Blasko, as well as West Australian Ballet and the first prize winner of the Sydney International Piano Competition.